- Bealls Texas Store Locations. In Store: Get a $10 discount in Bealls Texas stores when you spend $25 or more, valid on regular, sale, and clearance priced items. Printable Coupon: Buy boots in their clearance department and get 50% off. Three coupon to print, $60 off $150, $100 off $250, or $120 off $300. Print out this coupon and save 50% off clearance purchases, valid at bealls texas, goodys, peebles and stage stores. Save $10 when you shop $25 or more at bealls texas. Valid on regular, sale and clearance merchandise. Print coupon or show on mobile, get a 50% discount on clearance items. These 2 coupons can get you up to 50% discounts at Beall texas. Valid in-store only. Shop in store and save 30% on everything you can fit in their special bag. Receive 50% off red-lined clearance merchandise. 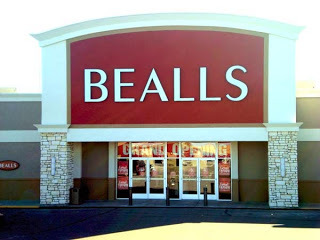 Shop Bealls Texas for brand name family apparel, shoes, jewelry, handbags, beauty, gifts, accessories and more.